All-male group Boyband PH has formally launched their self-titled debut album almost two months since their talent show win. Composed of Russell Reyes, Ford Valencia, Tristan Ramirez, Joao Constancia, and Niel Murillo, the group is also set to tour the country to promote their new album. Even though they came from the same “Pinoy Boyband Superstar” competition several quarters are speculating that one of them is more popular than the rest and that is no less than Joao. The new star in an exclusive interview with Push.com.ph reacted to such statements. “They say but at first I guess I was shocked because we really didn’t expect that,” he said. “No we don’t talk about it but they do make fun of me sometimes because they say they always hear my name because it’s really different and they always hear ‘wow!’ he said. 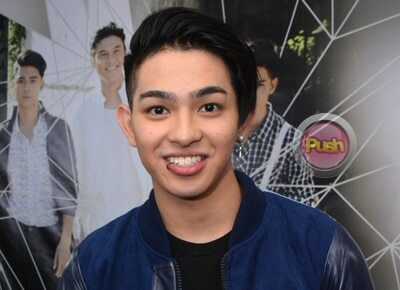 On a personal level, Joao claims that the statements claiming that he was the “leader” and the “most popular” one in the group do not affect him. “I don’t want to think of it that way because we are a boyband. So for me talaga what really matters is, us being a whole group, altogether,” Joao said. Aside from the comparisons within the group, several netizens couldn’t help but compare Boyband PH with It’s Showtime’s Hashtags. “I guess for us there’s no comparison because we’re both different groups and because we are a boyband and they are a boy group and they focus mainly on dancing and for us it’s mostly singing and dancing,” shared Joao. To prove there is no competition between the two groups, Joao said that they have already met some of the members of the Hashtags. “Yeah we’ve met them and they’re all cool guys and we got to meet each other and talk for a while and maybe in the future, we don’t know, maybe we can perform with them too. That would be pretty cool,” ended Joao.